A report by Valparaiso University Law Review that focuses on the problems with Illinois' factory farm regulations, or lack thereof, and finds that the current Act lacks adequate protection for environmentally susceptible areas and permits CAFOs to threaten water sources. This extensive 122 page report by the PEW Commisssion focuses on the problems created by the intensive confinement production system of agriculture. These problems include: negative impacts on air and water quality, animal welfare problems, an increase in the pool of antibiotic-resistant bacteria, and significant changes in the economy and social structure of farming communities throughout the U.S.
Environmental health impacts of concentrated animal feeding operations: anticipating hazards- searching for solutions. This paper reports on a scientific conference and workshop that was held in Iowa City, IA in March 2004. Environmental scientists from Europe and North America gathered to address the environmental health concerns associated with CAFOs. Five expert workgroups convened and created reports that address the following key problem areas: water quality issues, respiratory health effects, modeling and monitoring of air toxics, influenza pandemics and antibiotic resistance, and socioeconomic and community health issues. 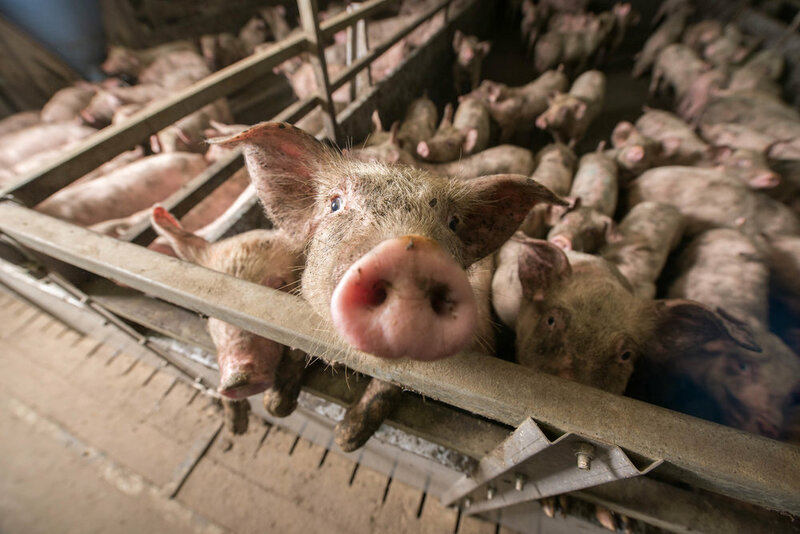 Most of the 17 million Iowa hogs today are raised in factory farms, large facilities known as concentrated Animal Feeding operations or CAFOs, where thousands of hogs are contained before being shipped to the meatpacking plant. The corporations that derive economic benefit from these CAFOs assert that this industrialized farming method is the future of agriculture and a boon to rural regions. research studies indicate, however, that CAFOs are causing measurable harm across a broad range of environmental, biological, and economic parameters. This is a directory of papers by Dr. John Ikerd. The U.S. livestock industry—a large and vital part of agriculture in this country—has been undergoing a drastic change over the past several decades. Huge CAFOs (confined animal feeding operations) have become the predominant method of raising livestock, and the crowded conditions in these facilities have increased water and air pollution and other types of harm to public health and rural communities. CAFOs are not the inevitable result of market forces. Instead, these unhealthy operations are largely the result of misguided public policy that can and should be changed.